Raaga.com: Amitabh Bachchan’s poignant tale of his struggling days! Amitabh Bachchan’s poignant tale of his struggling days! 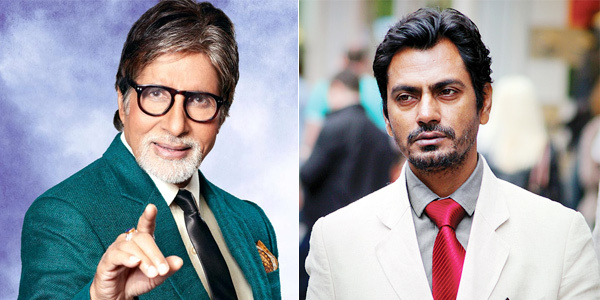 Recently Star of Millennium Amitabh Bachchan praised the miraculous raise of Nawazuddin Siddiqui quoting that in Bollywood talent has always been rewarded; though late. True indeed because history is packed with several examples about how talented actors like Sanjeev Kumar, Shatruganj Sinha, Jeetendra, Dharmendra had to struggle tooth and nail but ultimately their talent was recognized and they achieved stardom. In the 70’s when new wave cinema made inroads into Bollywood actors like Naseeruddin Shah, Om Puri, Amol Palekar etc, who were not so handsome like the Chocolate Heroes of the 60’s; they all got their big ticket to stardom purely on their skill and histrionics. In fact our very own ‘Superstar’ Amitabh Bachchan, is one of the examples because when he landed in Mumbai in the late 60’s aspiring to be an actor he was ridiculed by film producers and made fun of his extraordinary height and lean body. In fact in an interview when Amitabh Bachchan had gained stardom he had shared a poignant tale about his struggling days. He narrated how he was humiliated and how after stardom suddenly the same film industry that cursed him began singing glory of him. “The movement I entered the film producers cabin, he looked at me and burst into laughter. Ridiculing my height and lean body he said, ‘Have you ever seen yourself in mirror! How dare you dream of becoming a hero! Go back to Uttar Pradesh and stop day dreaming of becoming a hero!,” Bachchan reminisced. Amitabh Bachchan did not reveal the name of the film producer but said that after he became a star the same producer apologized to him and with folded hands urged him to work in his film, Bachchan like a humble human being obliged and worked in his film!! !